The Domestic Abuse Hotline for Men and Women (DAHMW) is a very important and very rare non-profit organization. Why is DAHMW so important and rare? Because it helps male and female victims of partner violence. That’s right, it recognizes that all victims of abuse need help, not just women victims. DAHMW was founded by Jan Brown in October 2000 in Harmony, Maine and has answered thousands of calls from men and women in crisis since that time. Jan asked me to join the DAHMW Board of Directors in 2012. I officially joined January 2013 and am amazed at how much Jan, the Board and DAHMW volunteers have accomplished with such limited resources. Unsurprisingly, DAHMW does not get to wantonly feed at the VAWA, federal and state domestic violence monies trough like most women’s domestic violence organizations do. Since its inception, DAHMW has operated on an extremely lean budget — and Jan’s grit, determination and sheer force of will. Some of you reading this may be familiar with the Earl Silverman tragedy. For those of you who are not, Mr. Silverman founded and ran the only men’s domestic violence shelter (MASH4077) in Canada for years. He recently killed himself in despair after having to close the shelter doors due to lack of funding. Billions of dollars are spent each year on women’s domestic violence shelters, but not a farthing to help male victims and their children. Much like Mr. Silverman, DAHMW doesn’t have tens of thousands of dollars to sponsor events in which young college men are shamed into parading across campus in high heels, to dispense white feathers and other such contrived nonsense that doesn’t do a damed thing to stop partner violence, but does a great job of painting all men as rapists, pedophiles and wife beaters. DAHMW spends what little funding it receives to keep our hotline up and running for all victims of intimate partner violence regardless of gender, sexual orientation, race and religion. We collaborate with a number of the established women’s domestic violence shelters in the country that also understand that the human capacity for family violence is not limited or dictated by gender. DAHMW offers support and practical services to victims, to the best of our ability given our limited financial resources. 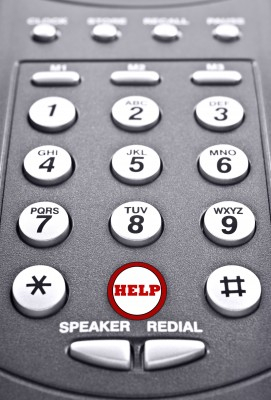 Our trained volunteer advocates cover our toll free abuse helpline in shifts throughout the day and night. They take calls from victims, their family members and friends who are concerned about them, as well as social services agencies looking for referrals and supportive services for their male clients. 100% of our volunteers (and staff) are compassionate, caring people who want to make a difference in the lives of victims of domestic violence. DAHMW is an organization with a lotta heart (say that with a down east accent!) that could use some helping hands and some spare change if you’ve got it. If you would like to help DAHMW to keep their hotlines open and to continue to provide resources, very badly needed resources, for male victims of domestic violence, please consider making a donation. DAHMW is also in need of volunteers to operate our hotline. 1) What are the responsibilities and requirements of becoming a DAHMW volunteer? Those interested in volunteering on our helpline must fill out a volunteer application and then set up a time to meet with our Intake Coordinator and Training Coordinator by teleconference. We do a reference and criminal background check. If the applicant is approved we invite them to our training group. Before joining the training group, we ask potential volunteers to make a $45.00 tax deductible contribution to DAHMW (via our paypal link on our website) to help us defray the costs of the criminal background check, etc. If the $45.00 is a hardship, we may reduce or waive the donation. Once in the training group, the trainee has up to six weeks to finish the reading, quizzes and assignments (we may extend the training time if there is good cause). Once the trainee successfully completes training, he or she will schedule a time to participate in a mock call session (more than one if needed). Once the trainee feels comfortable about taking helpline calls, he or she will choose an available shift (shifts are 4, 6, and 8 hours long). The line is then forwarded to the trainee’s cell phone or landline for that shift weekly. The Intake and Training Coordinators are always available by phone or email if the trainee has any further questions. We require that our helpline advocates be “violence free,” IOW, not in an abusive relationship for at least one year prior to commencing our training. We ask volunteer helpline advocates to commit to one shift a week for one year. They must also attend monthly volunteer teleconferences, usually held on the 2nd or 3rd Sunday night of the month. These meetings are usually between 45 minutes and 2 hrs long depending on the subject being discussed and/or whether or not we have a guest speaker. In addition we require helpline advocates to submit their volunteer hours weekly at a site that keeps track of our volunteer hours for us and to submit “call logs” (explained in more detail in our training) for each helpline call they take online at the end of each shift. 2) DAHMW is located in Maine. Can you be a volunteer if you don’t live in Maine? How does that work? Those interested in volunteering with us can live anywhere in the country. Our agency is set up “virtually.” We use a call forwarding program to send the toll free helpline to helpline advocates phone for their shift, we communicate with each other via teleconference, email, group lists and chat. All a potential volunteer would need is a computer with an internet connection and a cell phone/landline with unlimited long distance. Of course, being a good listener and comfortable working with people in crisis is a must also. 3) You mentioned that all DAHMW volunteers take a training course. What does that entail? The training course is made up of ten sections. Here is a sampling of the material covered: History of the Battered Women’s Movement, Dynamics of Intimate Partner Violence and Legal Issues for Victims of Intimate Partner Violence. 4) If men and women are interested in volunteering, how do they begin the process? If you have been a victim of domestic violence, have found your way out of the abuse FOG (fear-obligation-guilt) and would like help others to escape that hell, becoming a volunteer would be a great place to begin. If you are a Men’s Human Rights Activist and don’t know where to direct your efforts, volunteering with DAHMW is definitely a worthwhile cause. Another great, informative article Dr. T! This is a very useful article and it’s good to know there are people out there who see the need for gender neutral domestic violence services.